Improvisation is for Everyone! is a workshop where you can learn the fundamental skills of instrumental improvisation. 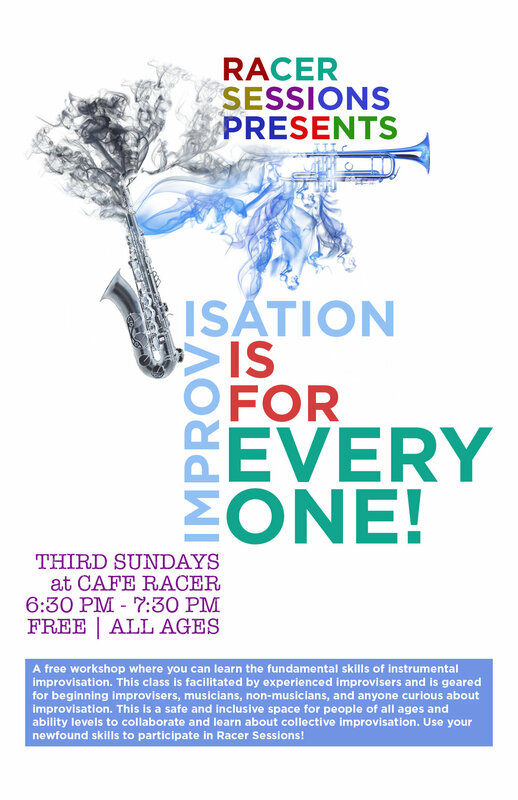 This class is facilitated by experienced improvisers, and is geared specifically for beginning improvisers, musicians, and non-musicians - anyone who is curious about improvisation. This will be a nurturing, and creative space for people of all ages, ability levels, and disciplines to collaborate and learn about collective improvisation. Use your newfound skills to participate in Racer Sessions! In the past, we have done these classes on the third Sunday of each month. The series is currently on break, and we are excited to resume soon!